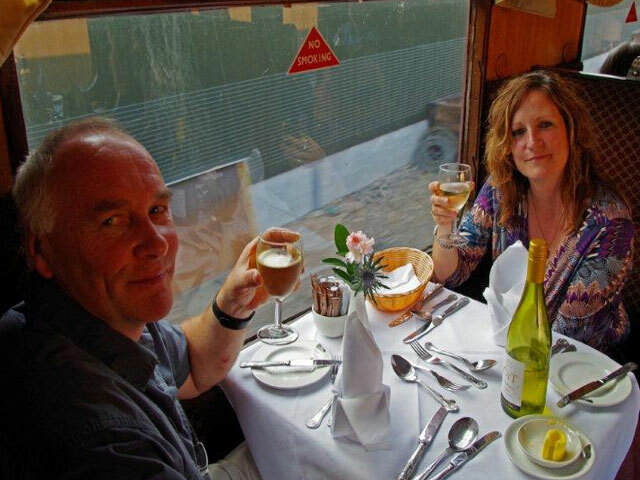 A classic three course Traditional Sunday Luncheon served on board our vintage dining train, which travels alongside the River Spey. Choose from 3 traditional starters, mains and desserts, with a cup of tea or coffee and a sweet treat to finish. 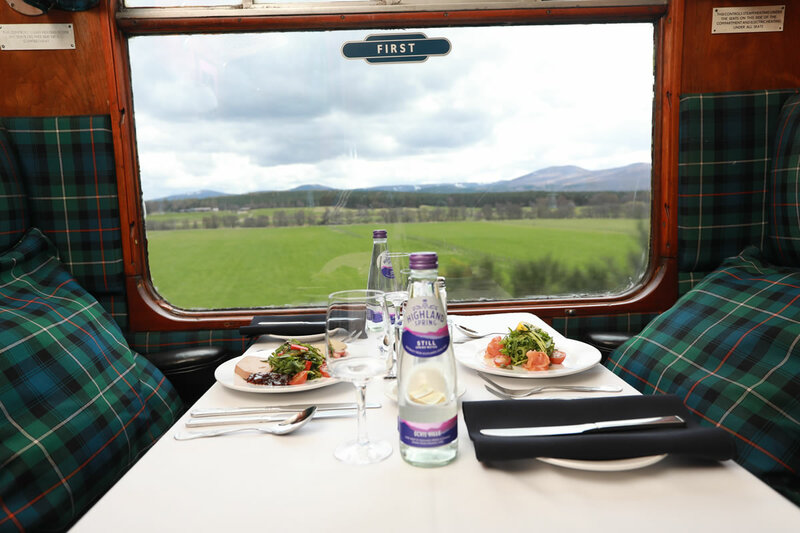 We are pleased to announce that this dining service will usually be pulled by classic Caledonian locomotive 828; Glasgow built in 1899. Adult passenger price £43 Child passenger price £21.50 (return travel included). Under 5’s price £7. The journey takes approximately two hours. First Class options also available. 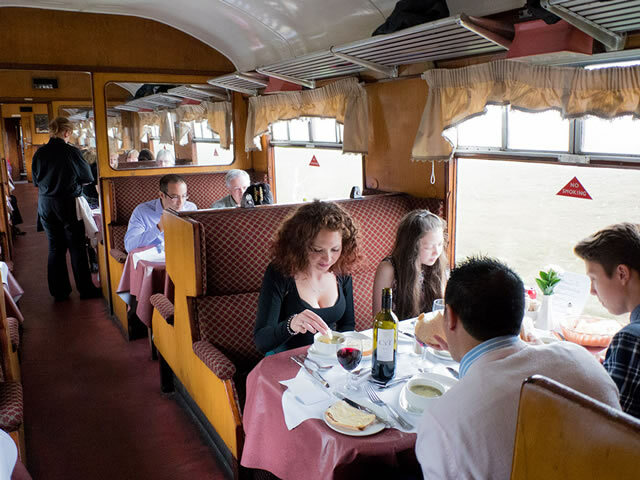 All dining options must be pre booked. 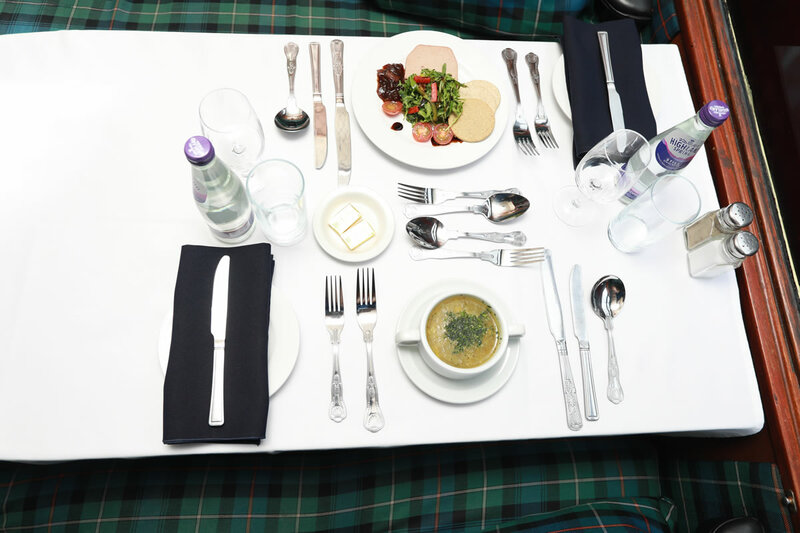 Sunday Lunch menu choices should be submitted at least 3 days prior to day of travel. Due to Food Hygiene regulations, dogs (with the exception of assistance dogs) are not permitted in the dining areas of any of our trains. 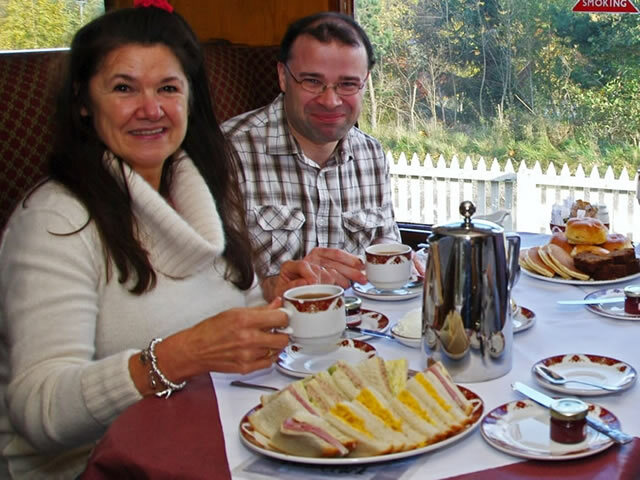 This includes the first class compartments on the 10.30 departure.